With Red Dead around the corner, you'll want to snap up these bonuses right away. 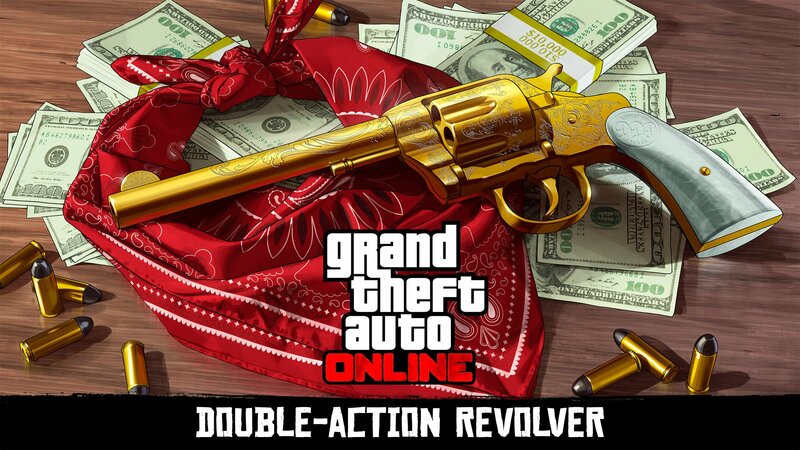 GTA Online is having its weekly selection of promotions, with a hefty amount of ways to earn more GTA$ and RP for your trouble, and this week is a good time to pick up the Red Dead Redemption 2 Challenge Bonuses, especially if you haven't already, since the game's official debut is right around the corner. The Red Dead Redemption 2 Challenges will unlock special weapons for use in the upcoming title for those who link their Social Club accounts, so they're very much worth the trouble of unlocking. 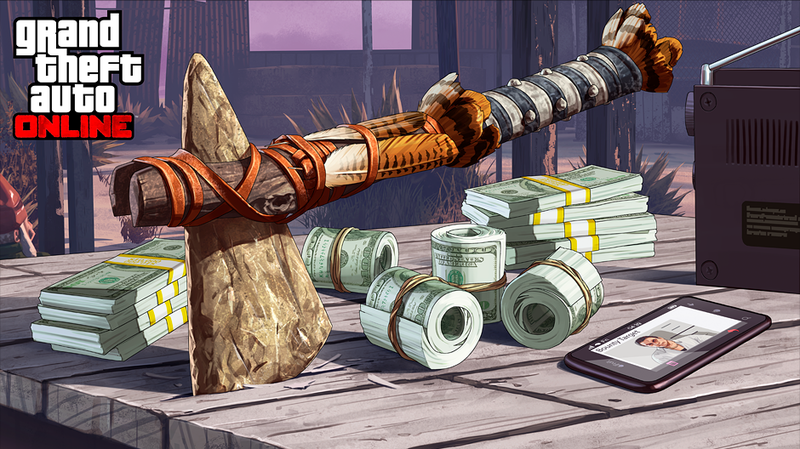 You'll do this by helping Maude Eccles find all the bounties on her list, uncovering lost relics, and completing the Double Action Revolver and Stone Hatchet challenges through the 29th to earn twice the cash bounty, which is GTA$500,000 for both weapons apiece. That's a hefty amount of coin! You can also rack up a 25% Speed Boost on Bunker Research, double GTA$ and RP on Gunrunning Sell Missions, and for completing VIP/CEO Work and Challenges through October 22. As usual, there's a sale on Bunkers, Weaponized Vehicles and Helicopters, and other High-End Vehicles that you'll want to add to your collection. Hope you've been saving your pennies in GTA Online, because there's a lot you can purchase right now that's on sale. Check out the official Rockstar Games blog for all the rest of the details on what's going on in the game this week.